4k00:30HONG KONG - CIRCA APRIL 2018 : Scenery of PEOPLE DANCING at SAI YEUNG CHOI STREET at MONG KOK area. Place is famous for shopping and street performance. 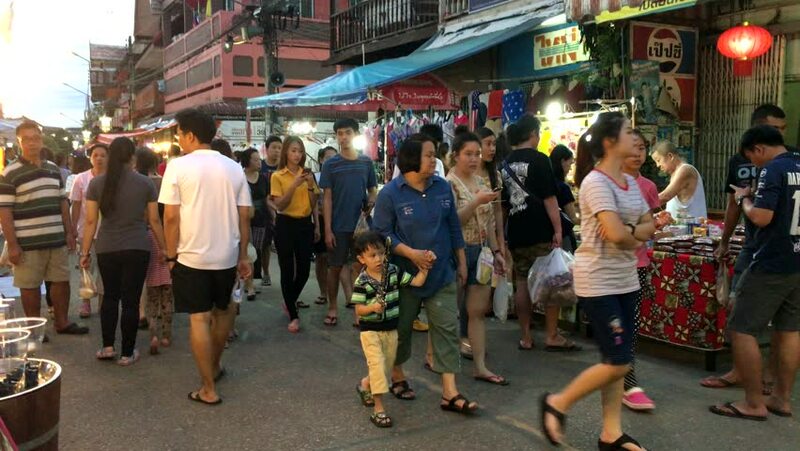 4k00:09Chiang Mai, Thailand-October 4, 2015: Tourists and locals walk among stalls at the famous Sunday walking street (Thapae walking street) in Chiang Mai. There are various local things to buy and eat. 4k00:09Chiang Mai, Thailand – October 4, 2015: Tourists and locals walk among stalls at the famous Sunday walking street (Thapae walking street). There are various cultural and native things to buy and eat. 4k00:10BANGKOK - 19 April 2017: Unidentified tourists walk along Khao San Road on 19 April, 2017 in Bangkok, Thailand. All servies as shopping, massage, food on Khao San Road open over night. hd00:05HONG KONG - SEPTEMBER 2017: Lots of people walk in the street of the Mong Kok district. The tourism industry is an important part of the economy of Hong Kong.